Size : 16.8 x 17.6 mm. Weight : 3.12 grams. 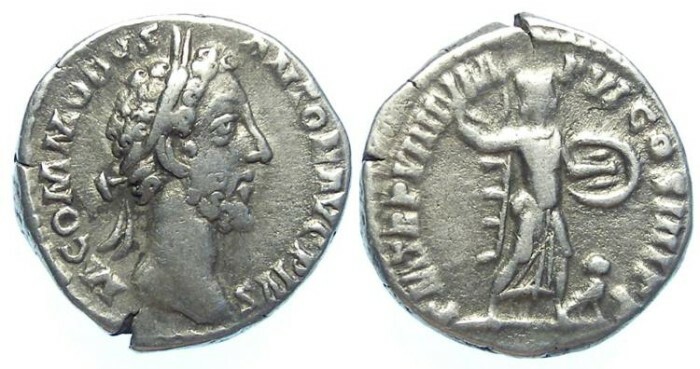 Obverse : Head of Commodus right, with M COMMODVS AVG PIVS around. Reverse : Minerva advancing right, brandishing a spear and shield with a small owl at her feet and TR P VIII IMP VI COS IIII P P around.